Chiang Mai is the largest and most important city in northern Thailand. It’s known for being one of the major cultural and religious capitals of the country, having a high concentration of religious temples and cultural sites. But you and I, we’re more interested in the food… right!? 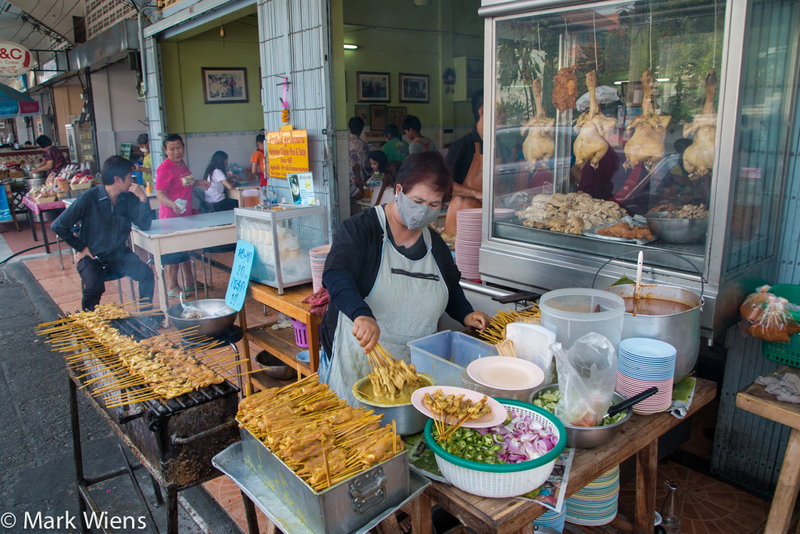 Chiang Mai is much smaller than Bangkok, but it’s still big enough to the point where there are plenty of delicious restaurants to try and enough food to keep you happily eating for a long time. 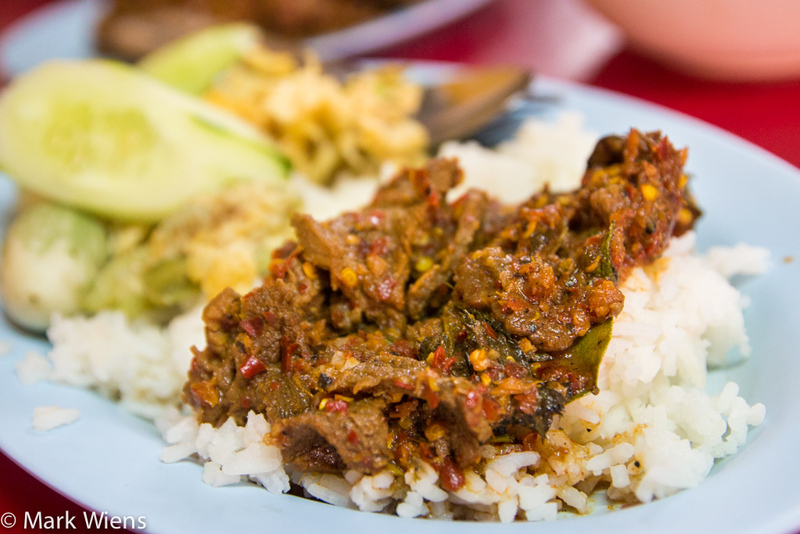 In Chiang Mai you’ll discover a set of northern Thai foods (Lanna cuisine) that will hit your taste buds in new and exciting ways, and a series of dishes that are drastically different from southern Thai food, central Thai food, or Isan food. Although we’re based in Bangkok, my wife and I frequently visit Chiang Mai. We’ve stayed at quite a few different places, but one of our favorite places to stay is Sunshine House, a modern style flash-packer hotel. It’s clean, comfortable, and located in a neighborhood just outside the walls of the old city of Chiang Mai. For a higher end hotel, check out the beautiful Anantara Chiang Mai Resort, located along the river. Listed below are some centrally located restaurants that I think serve some of the best food in Chiang Mai. If you love Thai food, don’t miss these spots. 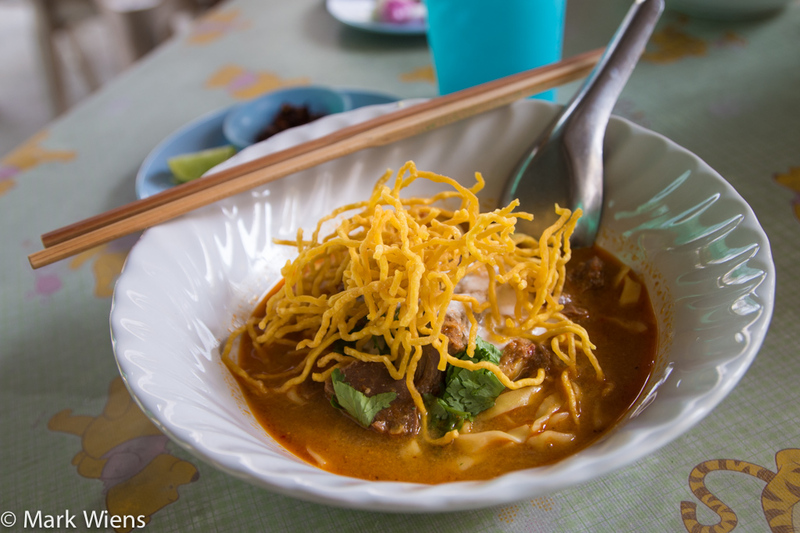 Khao Soi Khun Yai (ข้าวซอยคุณยาย) – Khao soi (ข้าวซอย) is an extremely famous northern Thai dish that includes yellow egg noodles served in a coconut milk curry. You’ll find khao soi (ข้าวซอย) all over the place in Chiang Mai, however, I’ve honestly had a lot of bad bowls of khao soi that are bland and sweet. Khao Soi Khun Yai (ข้าวซอยคุณยาย) is a small, open air, restaurant, that serves what I think could be the best bowl of khao soi in Chiang Mai. The curry is red brown in color, packed with spices, not too sweet, and extremely flavorful. I like to bump up the flavor with some extra roasted chilies, pickled mustard greens, and red onions, which are provided with a bowl of khao soi. Tong Tem Toh (ต๋อง เต็ม โต๊ะ) – One of the best reasons to visit Chiang Mai is to eat northern Thai food (Lanna cuisine). When I first walked into Tong Tem Toh (ต๋อง เต็ม โต๊ะ), I didn’t think it would be so good, it looked more like a Thai trendy style restaurant where to modify to food to go with the trends. I was actually pleasantly surprised that the northern Thai dishes they served were incredibly vibrant, spicy, and extremely tasty. I would definitely recommend Tong Tem Toh (ต๋อง เต็ม โต๊ะ) as one of the best restaurants in Chiang Mai for northern Thai food in a nice clean and relaxing environment. The legendary cowboy hat lady! 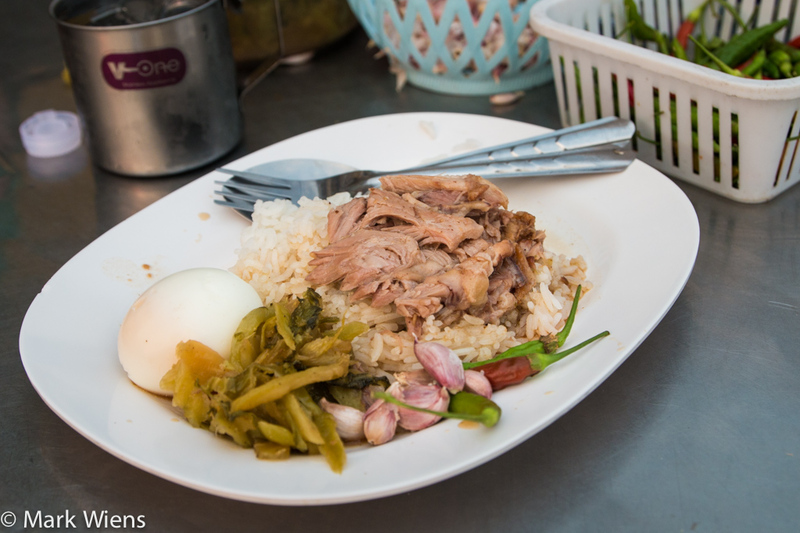 Khao Kha Moo Chang Phueak (ข้าวขาหมูช้างเผือก) – Are you a pork lover? You seriously need to make eating at Khao Kha Moo Chang Phueak (ข้าวขาหมูช้างเผือก) a priority on your list when you visit Chiang Mai. Khao Kha Moo is Thai style pork leg (or knuckle) slow stewed in a sweet sauce that’s packed with Chinese five spice flavor. 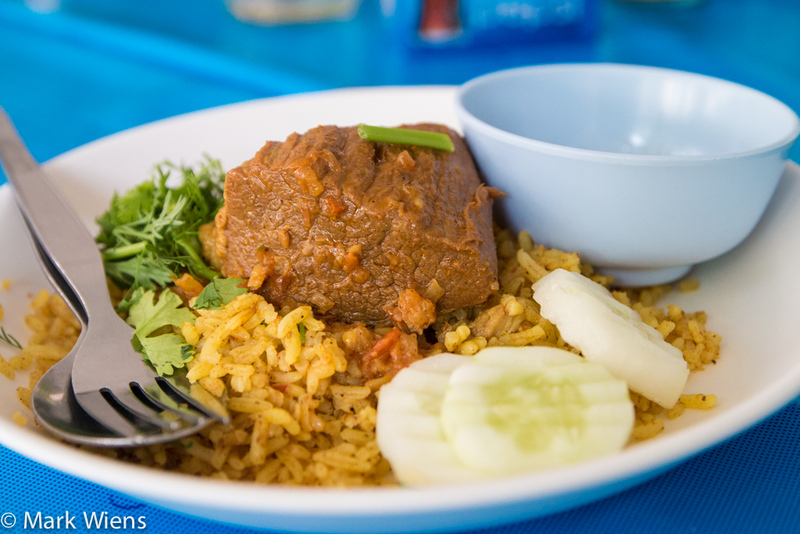 The pork is unbelievably fall-apart tender, and served over a plate of rice. 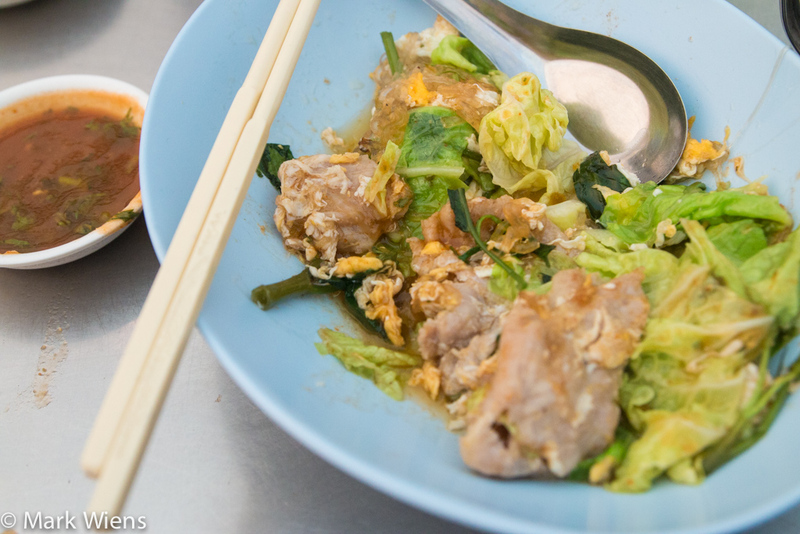 When you see the lady wearing a cowboy hat, serving from a giant pan of bubbling pork parts, you’ll know you’re at Khao Kha Moo Chang Phueak (ข้าวขาหมูช้างเผือก). Suki Koka (สุกี้โคคา) – Suki Koka (สุกี้โคคา) sets up right next to Khao Kha Moo Chang Phueak (ข้าวขาหมูช้างเผือก) each evening, so you might think about combining the two into a single meal. You can order Thai suki either dry or soup version, but I’m a big fan of their dry version, where they stir fry up a handful of pork with some glass noodles and a big bunch of napa cabbage and finally an egg. Their suki is served with a tangy sauce that have a nice fragrance of sesame oil (not typical for Thai cuisine). I’m a huge fan of their suki. Kiat Ocha (ร้าน เกียรติโอชา) – Kiat Ocha (ร้าน เกียรติโอชา) is a longstanding favorite and one of the most famous restaurants in Chiang Mai, both for locals and Thais from Bangkok. They serve khao man gai (ข้าวมันไก่), which is the slightly boring dish of chicken and rice, but they manage to do a great job making it; The rice is fragrant, and the chicken is cooked to perfection. I’m also a huge fan of their sauce, with ginger and chilies. Also, if you eat at Kiat Ocha (ร้าน เกียรติโอชา) don’t miss their pork satay (หมูสะเต๊ะ), which is excellent. 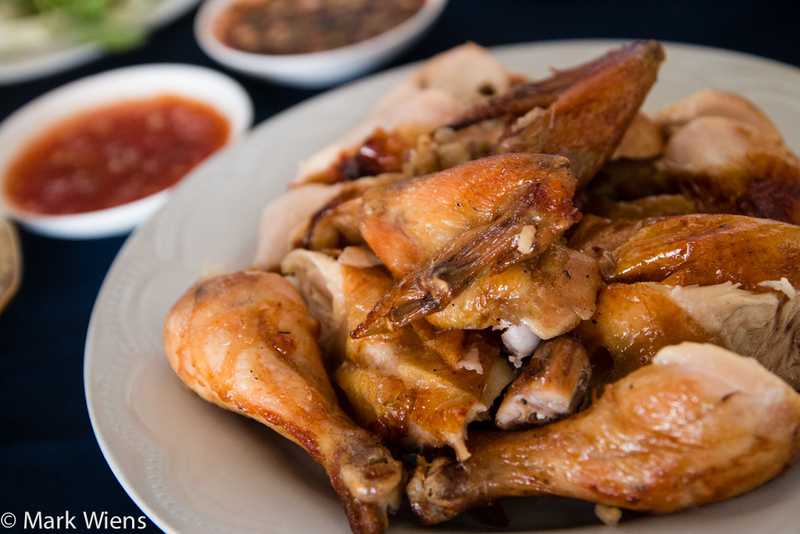 SP Chicken (SP ไก่ย่าง) – SP Chicken (SP ไก่ย่าง) is an Isan style restaurant located in the heart of old town Chiang Mai. The main thing they specialize in is grilled, or more like rotisserie style chicken, which you’ll immediately see at the front of the restaurant, spinning in pure beauty. At the beginning I thought the chicken was tiny, but when I tasted it, I knew they were doing everything right when it comes to grilled chicken – it was juicy and flavorful to the bone. The different varieties of som tam (ส้มตำ) and other Isan dishes are also fantastic at SP Chicken (SP ไก่ย่าง). Khao Soi Islam (ร้านข้าวซอยอิสลาม) – Khao Soi Islam (ร้านข้าวซอยอิสลาม), as you might guess from their name, serves the northern Thai dish of khao soi (ข้าวซอย), and everything they serve is Halal. I thought their khao soi (ข้าวซอย) was alright, but a little on the mild side. What really made me happy was their version of khao mok neua (ข้าวหมกเนื้อ), or Thai style beef biryani rice. The rice was perfectly seasoned, and the beef was tender and flavorful. If you’re in Chiang Mai and love khao soi (ข้าวซอย) definitely give it a try at Khao Soi Islam (ร้านข้าวซอยอิสลาม) restaurant, but also don’t miss their biryani. Huen Phen (ร้านเฮือนเพ็ญ) – Huen Phen (ร้านเฮือนเพ็ญ) is a longstanding restaurant in Chiang Mai that serves mainly northern Thai food, or Lanna cuisine. Most of the dishes on their menu are pre-prepared and served Thai curry style. 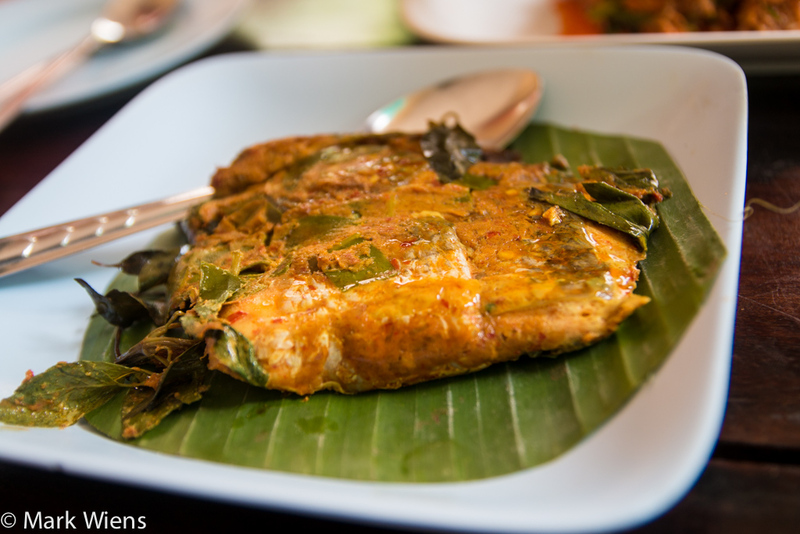 I liked the aeb pla (แอ๊บปลา), a fish cake mixed with spices and grilled in a banana leaf. Also the tam kanun (ตำขนุน), or young jackfruit salad, was tasty. Many of the dishes were a little on the greasy side, but it is a good place to try northern Thai food for an affordable meal. 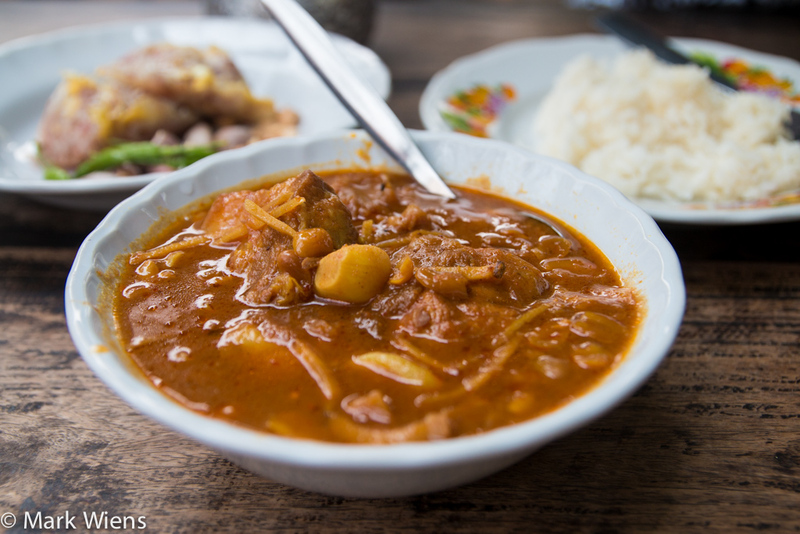 Loong Thai (ลุงไทยข้าวแกง (เพชรบุรี) – I didn’t plan to eat at this Chiang Mai local northern Thai curry restaurant, but when I stumbled into Loong Thai (ลุงไทยข้าวแกง (เพชรบุรี), I knew it was a place I needed to try. Let me first start off saying, the food is incredibly spicy, I’m talking HOT chili spicy here. One of their most popular dishes is Thai chili frog (ผัดเผ็ดกบ), pieces of frog stir fried in intense chilies and other spices – it was marvelous. They serve khao gaeng, meaning rice and curry, so you basically just get a plate of rice and can point to whatever dish looks good. Want to take your Thai eating experience to the next level? Get your copy of the Eating Thai Food Guide, now including tips for eating in Chiang Mai.